Posted at: 9/18/2015 09:00:00 PM . Google Play is offering another album of the week for free. This week, the free album is Everyone Is 4 by Jason Derulo. 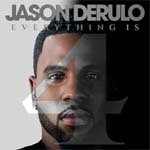 For a limited time, enjoy a free digital copy of Everything Is 4, the latest album from pop star Jason Derulo.